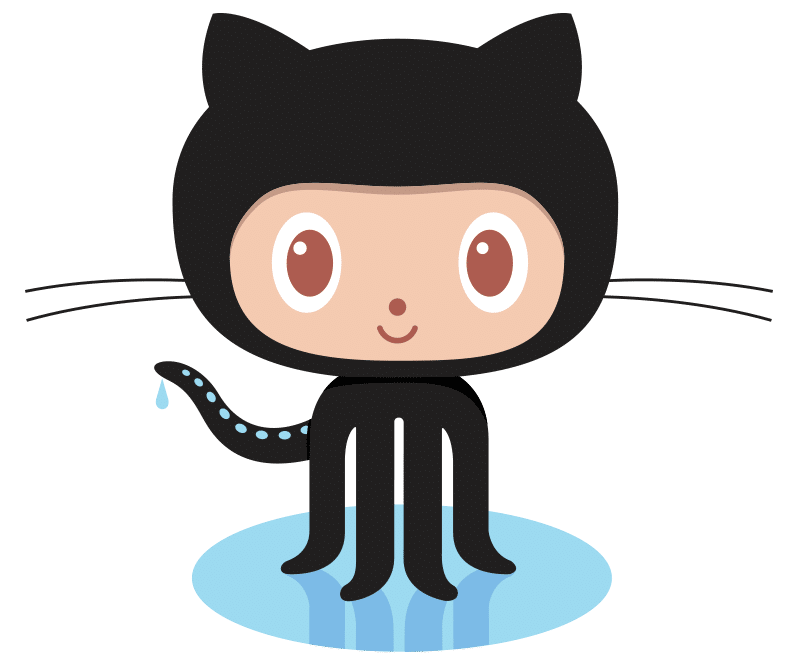 How do you automatically deploy from Github if your repo is private? The first time I had to this it was a nightmare, simply because the Github documentation assumes that all of its users possess a knowledge base bordering on the absurd. The reality is that setting this up is easy once you’ve seen how it all works. This setup should take you around 15 minutes to complete. Github and the git command-line program work in concert to provide a way to interact with a private repo using SSH. Github private repos include an additional page where you can add a public SSH key (a, “deployment key“) to facilitate remote connections from servers that need to download (ie “clone”) your private repo. The git command-line program understands special syntax for connecting to a private repo via SSH. 1. Create an SSH key pair from any computer. 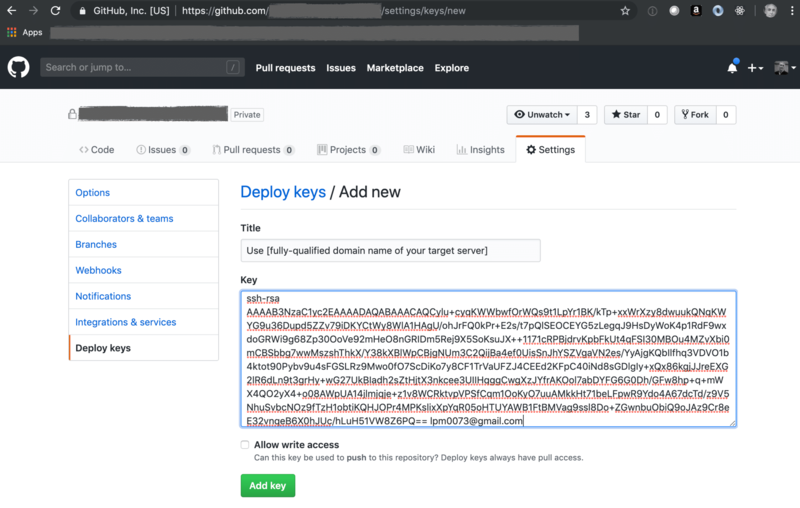 Github provides an additional configuration page for private repos where you can manage deployment keys. But strangely, GitHub doesn’t automatically generate the SSH key for you, nor do they provide any means of creating such a key from their site. The page simply contains a large, empty text field where you’re supposed to paste your public key, but there’s no explanation of where the key comes from. You have to create a key. You can do this step on any computer with ssh-keygen installed. 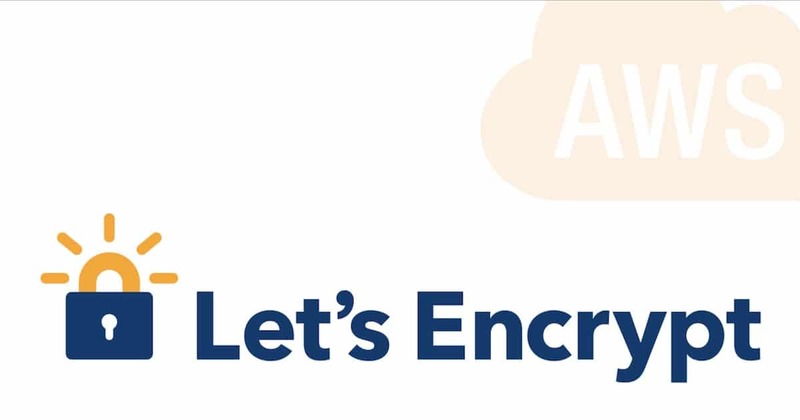 However, you can save some time by doing this step on your deployment server — assumed to be some kind of Linux server — and storing the files in ~/.ssh/, where the “~” means your home folder. We’ll do this with a command-line utility named ssh-keygen that comes pre-installed on most operating systems. Ssh-keygen asks you a couple of questions then creates two files: a private key, and a public key. Incidentally, you can name these files anything you want, and you can also use any file extension you want including no file extension at all. 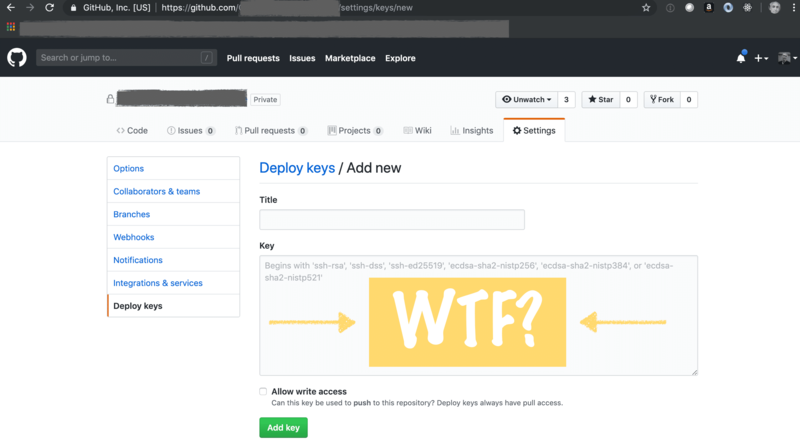 GitHub actually provides very good documentation on how to use this tool to create the SSH key pair that you’ll need in order to create a deployment key. I’m republishing their exact instructions, along with my own annotations, for your convenience. $ ssh-keygen -t rsa -b 4096 -C "<em>your_email@example.com</em>"
At the prompt, type a secure passphrase. For more information, see “Working with SSH key passphrases”. GitHub also provides good documentation on creating Deployment Keys for a private repo. At least, their documentation makes sense for anyone who already has experience creating said keys. You should definitely refer to their documentation. The short story is that you need to copy/paste the complete contents of the public key file from the previous step into the large text box below. 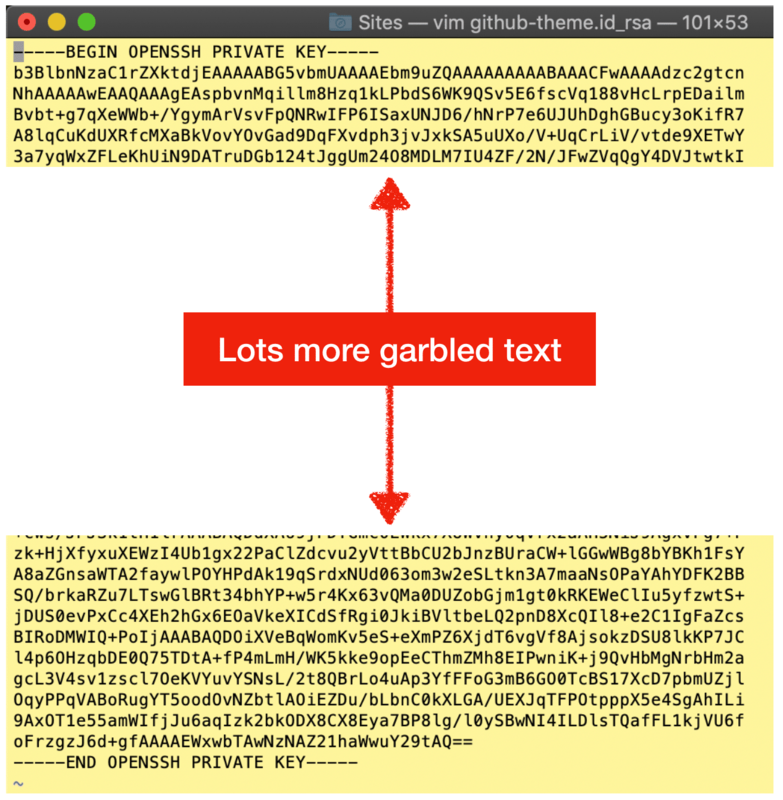 You will break your key if you alter the text from the file in any way including, for example, removing carriage returns or omitting the “ssh-rsa” title text. We’re ready to setup your deployment server. But first, if you’re new to this then some additional background will be helpful. 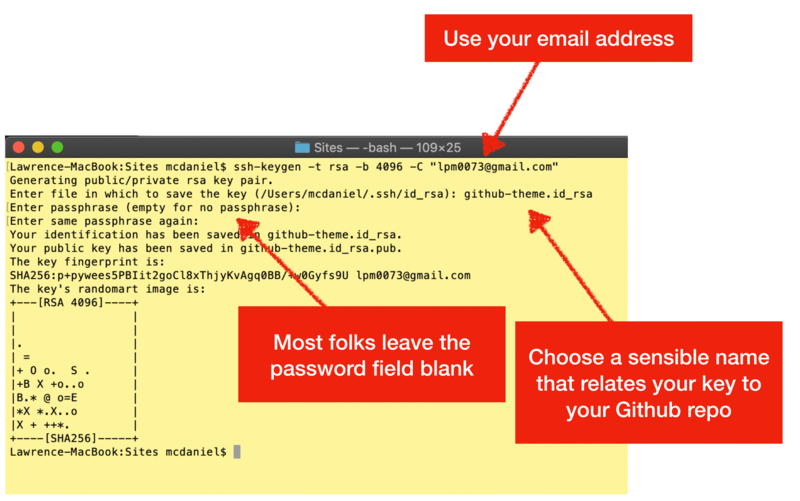 The Git command line utility preinstalled on your computer uses SSH to connect to GitHub private repos. All rules of SSH apply. For example, the file permissions are important. GitHub requires that the file permissions of private keys be either 600 or 400. See the example keys above. In this example, the private keys are set to 400 whereas the public keys are set to 600. I’ve never found online documentation from Git nor GitHub to this effect, so the explanations that follow are from my own personal experience. If you created your SSH key pair on a different computer then you’ll need to copy the contents of your private key to a new file of the same name, located in ~/.ssh/ on your deployment server.